It has once again been confirmed that the north is the place to be for buy to let investors. The region has seen a phenomenal amount of growth with key cities such as Manchester, Leeds and Liverpool all taking the top spots in latest research. In the recent Centre for Cities report, Manchester ranked as the number one location for population and employment growth in city centre areas from 2002 – 2015, with Leeds, Birmingham and Liverpool close behind. Population and employment growth creates demand for homes – which in turn has resulted in some serious capital growth over time. 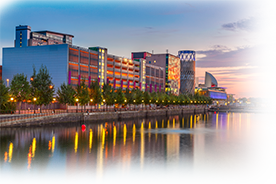 In the past 4 years, many Sequre investors have seen a huge 233% return on cash invested on some Manchester deals, highlighting the strengthening property market and the quality of our deals. And with a 22.8% property price growth predicted over the next 5 years, there is still a phenomenal amount of profit to be made. Northern cities have become popular mainly due to mass regeneration plans backed by significant public and private investment. Population and job growth in some of these northern areas are approximately six times higher than London, an area that’s also seeing house prices cool. If you’re chasing high returns and capital growth combined, the north should be at the top of your list. We have a number of deals located in Manchester, Leeds and Liverpool which are tenanted, furnished and income generating from day one. If you’re on the search for your next property investment, give us a call today on 0800 011 2277.